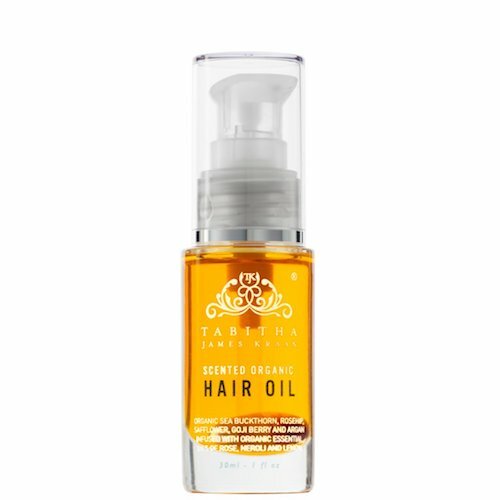 The Scented Hair Oil by Tabitha James Kraan is a rich, decadent hair oil that gives a revived feel to dry, and leaves locks looking shiny and refreshed. This product has the quality of being more than a hair oil, it's like a hair serum. Top quality ingredients and a luxurious scent offer a quality of deep nourishment to hair. May also be used to create a healthy look on dry hair. 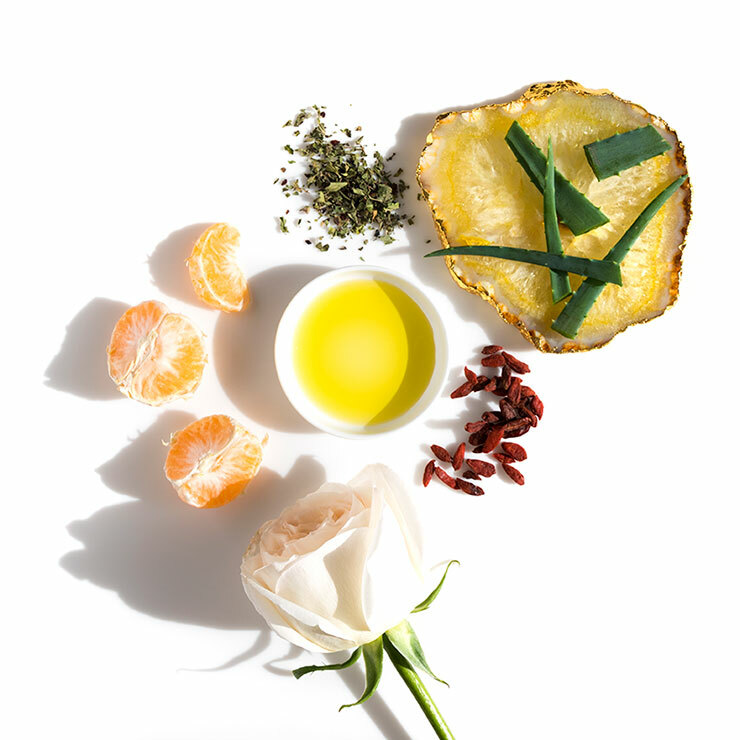 Warm 1 or 2 drops, depending on length, between palms and finger through damp hair before blow drying or styling. Once a week, apply 1 - 2 full pumps, depending on length and work onto mid-length to end of hair. 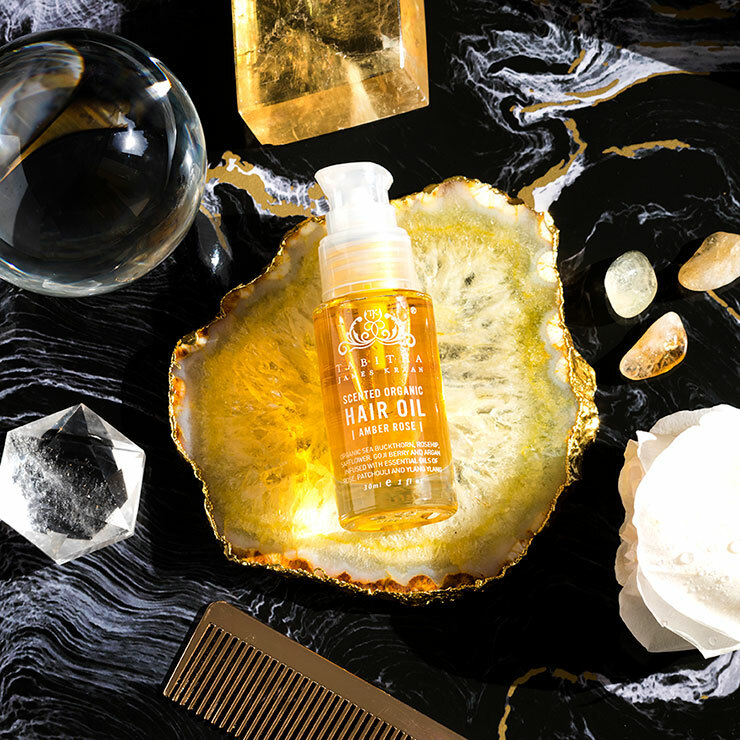 Allow oil to remain on hair for 30 minutes or overnight. Shampoo and condition as usual. I have fine, long hair and it is easily weighted down. I also have a sensitive nose. This hair oil is lovely. The scent is heavenly and smells more like real roses on a sunny day. I put half a pump in my hands, warm it up, and very lightly touch the ends of my hair. I definitely do not run my hands liberally through my hair or use it on my scalp. I end up with healthy looking, moisturized ends and a lovely scent to my day. Any remaining oil on my hands, I rub onto my elbows and the backs of my hands. This will last me a long time, and I will definitely repurchase. Smells great but too heavy for fine hair. I'll have to try the other users suggestion on using for the body. My scalp just soaks this in. Seems to calm the oil production nicely. I received this in my monthly box, and sadly, I’m not a fan. It has a decadent scent, but it really weighs down my fine hair. Instead of using it on my hair, I have started using it on my arms, legs, and hands, and it works great for those areas without being too oily.